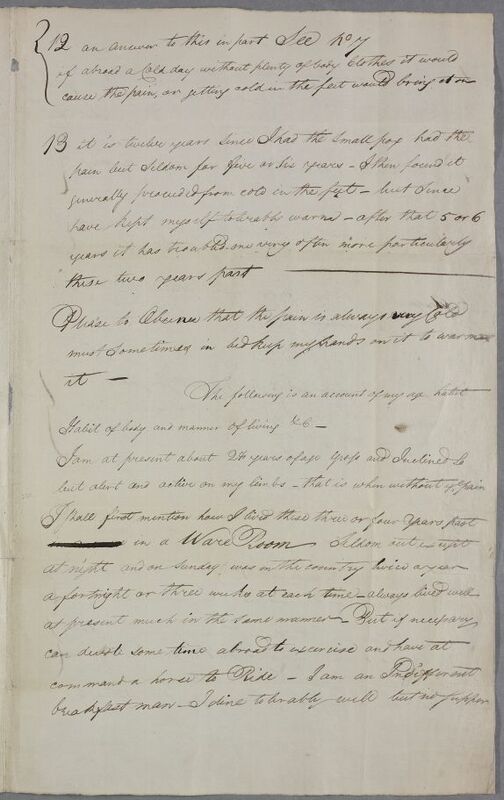 Letter from an unnamed correspondent concerning his own case, written in the form of a series of numbered questions and answers concerning his symptoms and habits. The patient is aged twenty-eight, 'Gross' but 'alert and active' on his limbs. He suffered from small pox twelve years prior, to which he attributes the origin of his pain. 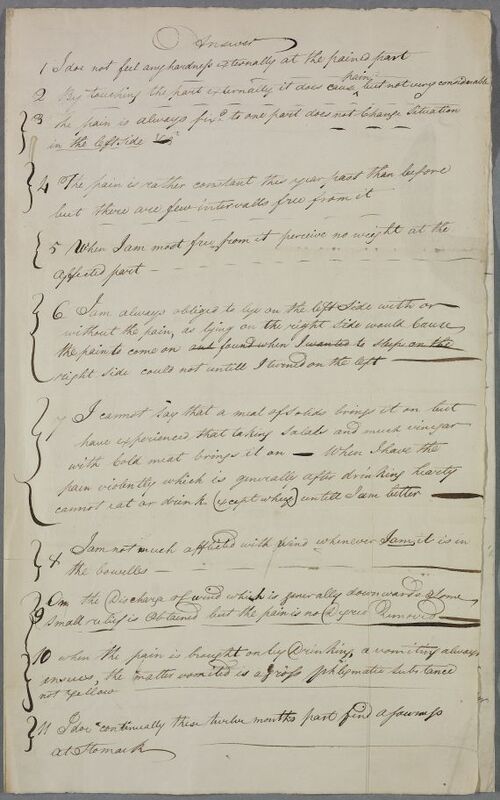 Summary Letter from an unnamed correspondent concerning his own case, written in the form of a series of numbered questions and answers concerning his symptoms and habits. The patient is aged twenty-eight, 'Gross' but 'alert and active' on his limbs. 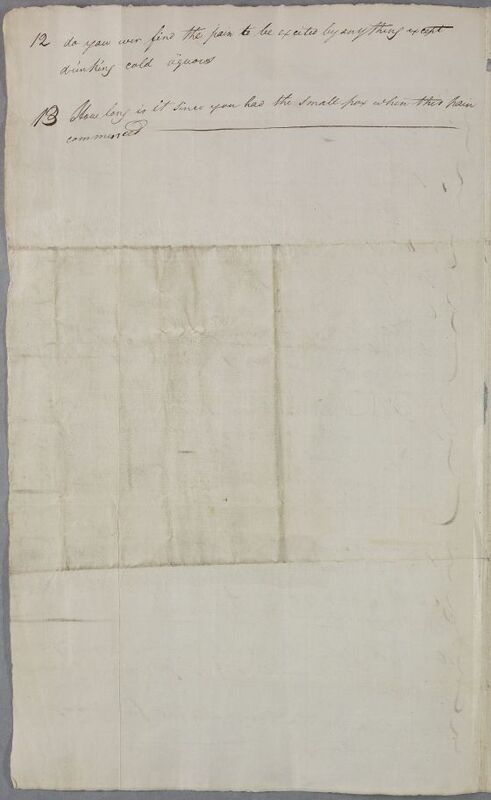 He suffered from small pox twelve years prior, to which he attributes the origin of his pain. 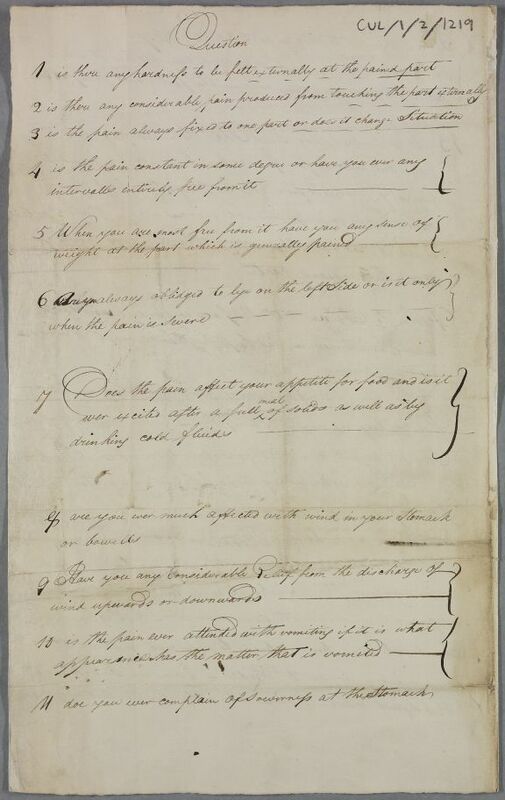 Case of an unnamed correspondent concerning his own case, written in the form of a series of numbered questions and answers concerning his symptoms and habits; smallpox mentioned.